Golden Rose brand recently celebrated its first year since bringing the brand to the Slovenian market. 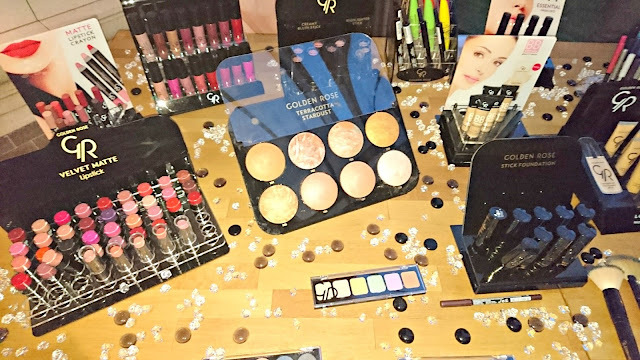 I’ve mentioned their products quite a lot on my blog already since Golden Rose brand has a wide variety of products and the prices are very reasonable. Znamka Golden Rose je pred kratkim praznovala prvo leto, odkar so svoje izdelke pripeljali na slovenski trg. Na mojem blogu sem o znamki že večkrat spregovorila, ker gre za znamko s pestro ponudbo izdelkov in žepu prijaznimi cenami. Until now it was only easy for us girls from Ljubljana to get the Golden Rose products (in BTC Hala A and City Park), but this story changed a couple of months ago – now, you can buy their products in the online store Licila.si and shops in Celje and Velenje. Do sedaj smo imele le Ljubljančanke ta privilegij, da smo z lahkoto lahko prišle do Golden Rose izdelkov (v BTC Hala A in City Parku), vendar pa se je zgodba bistveno spremenila nekaj mesecev nazaj – sedaj lahko namreč izdelke kupiš tudi v spletni trgovini Licila.si ter v trgovinicah v Celju in Velenju. 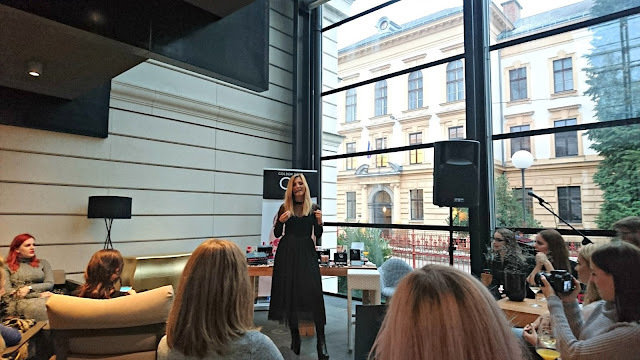 Along with my fellow beauty bloggers, I attended a birthday celebration of Golden Rose where we celebrated along Slovenian brand owner Enisa Musai, Gregor from online store Licila.si and make-up artist Mateja Pozeb. We also had a chance to try out some new products from the offer but unfortunately the lighting was quite bad so photos don’t do justice to the products. As a beauty blogger, I sometimes get opportunities that I would not otherwise get – and sometimes, I get to visit places I probably wouldn’t find by myself. Last Friday, I had an amazing experience I want to tell you about. On a gloom, rainy day, Tara, Gabi and I set of from Ljubljana via Kranjska Gora (more specifically, Gozd Martuljek) for an adventure. Greeted by sun on our arrival, we were in good spirits that were lifted even more by the kind and warm welcome from our hosts in Hotel Špik – Simona and Gordana. Our hosts welcomed us in the Alpine wellness which, I’ll admit, I never heard of before I got the invitation for the event. First, we grabbed a bite of food to eat while Simona explained the concept of Alpine wellness to us. The food was organic and mostly made from home-grown ingredients. This is not a coincidence because healthy food represents one of the key benchmarks of wellness along with relaxation, beauty, cosmetics and nurturing the soul. Do you see those cool drinks on the far right? They are made with glacier water which is pretty cool in my opinion. The hotel discovered a well in 2015 and after some analysis it became evident that this water is super clear since it doesn’t enter the ecosystem. They use it for pools and for different wellness rituals for face and body. I also got a feel for it, but more about that later. The Alpine wellness in Hotel Špik is really unique and I can really imagine coming here with my girlfriends or for a hen night. There are five rooms through which you slowly move: confidence, love, creativity, harmony and love. Near to Bauhaus in BTC Ljubljana (enter the adress Cilenškova ulica 42 in your GPS) stands a warehouse. L’Occitane filled that warehouse with every single decorative item they used in their stores in the past 15 years. That’s right. Every. Single. Item. 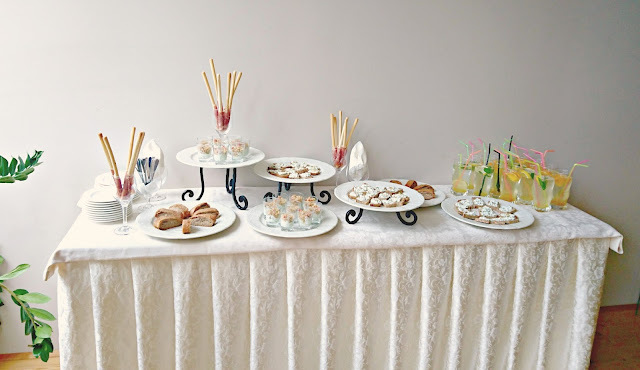 And I, along with my fellow beauty bloggers, was invited for a sneak peek and got to choose three items to take home. Thank you, L’Occitane! If you wonder what I got, follow me on Instagram (@low_maintenance_beauty) for a reveal in a couple of days! There are also things for you to create something by yourself! // Najdeš lahko tudi stvari, s katerimi lahko kaj novega ustvariš sam/a!